Jenni, young worship leader story. Jenni is a 16 year old worship leader. She learned through 8 chords 100 songs and now she is worship leading and training others at her church. What level is your course? Answers from the archives: UPDATE FEB 2019 – Most of the courses are now with DVDS or online streaming videos! So when I mention CD… that’s old school! This was the first edition of the 8chords100songs worship guitar course… This course will teach you to play any worship song with simple chords. If you already … Read moreWhat level is your course? 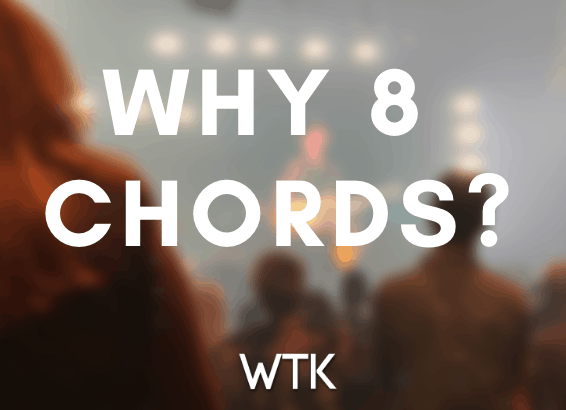 Why 8 chords and how did you make it so easy??? First of all, I didn’t make it easy, I just made it easy for you to understand and have structured my program in a way that gets you playing tons of songs right up front and keeps the guitar student encouraged and excited. I teach, in a systematic way, important elements of guitar technique and … Read moreWhy 8 chords and how did you make it so easy?? ?